Available as a part of Nemesis Now’s high-quality Premium wholesale Fantasy giftware range, this majestic Dragon statuette is cast in the finest resin before being carefully hand-painted. Perched on an outcrop of black rock, this fearsome red Dragon leans forward, one leg extended behind them as if ready to take flight. Their mouth is open in a terrifying roar, and their tattered red wings are raised in a threat display, their tail brushing the ground below them. Around the outcrop, blue crystals grow up from the ground in clusters. 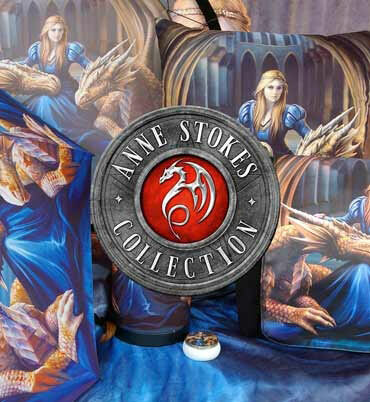 A magnificent addition to any coffee table, this draconic display is a fantastic gift for any Fantasy lover.